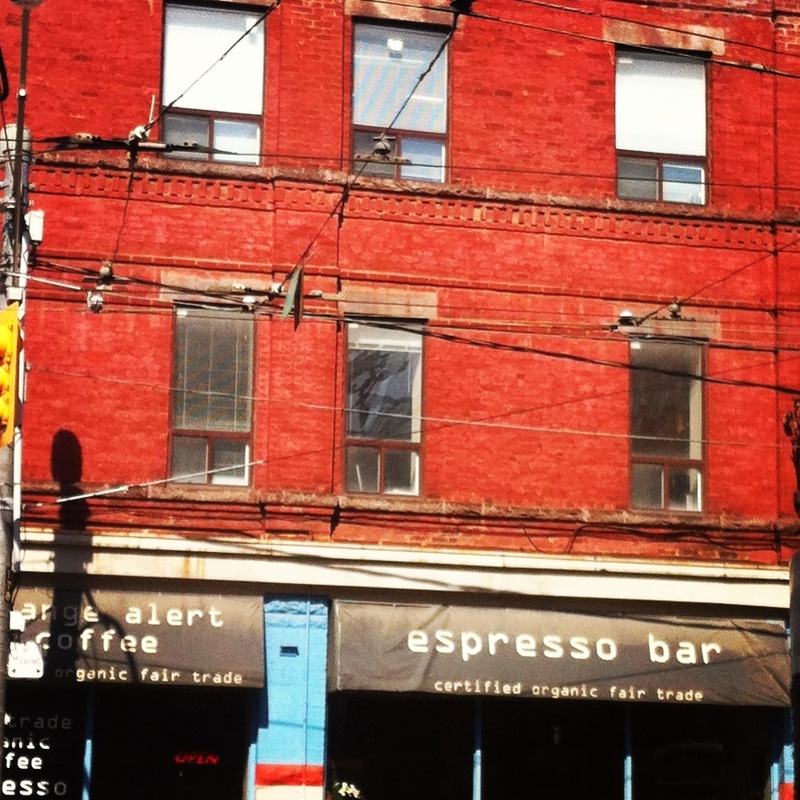 A random walk along Dundas St. West towards Chinatown made me notice something bright out of the corner of my eye. I thought it odd yet refreshing to see something colourful framed against the overall winter drabness of connecting buildings. First impression made me think it was some sort of event or workshop. The signage was posted behind a glass door and the words “gizmo” popped right out. So I thought, “cool! @Gizmodo‘s hosting an event in the city.. who knew, right?” Wrong. A closer look made me realize that I’ve stumbled upon a local coworking space. I was thrilled at how visible the startup community can be, almost anywhere you are—even right in your own backyard. So I decided to take a snapshot and share it on Twitter. Naturally, in the due course of social media serendipity, I ended up connecting with @gizmolabsTO and one of their founders @amirhabibz. Because of my longstanding interest in the forms and dynamics of workplaces, I referred Amir to an archived copy of a ReadWrite article that envisions the workplace of the future and what elements it may entail. Whether or not leaner teams are a direct byproduct of innovative efforts remains to be seen. But as I suggested before, there has indeed been a growing trend in many work environments for workers to become ‘generalists’. Of course, there are pro’s and con’s to this trend. And the increase of generalists may have even influenced the growing emergence of coworking spaces and how its modern format incubated and hatched. But on to my local discovery..
Amir tells me that Gizmolabs sprouted from a small community of makers and young startup fanatics and was created to provide startups, entrepreneurs, freelancers, designers, and independents with the much needed space, community and resources. It’s no wonder there is a strong creative flavour to Gizmolabs. 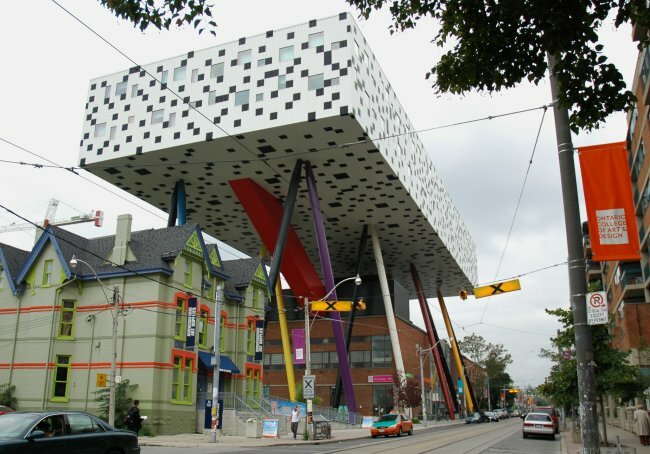 Their physical location is in fact right beside the two local bastions of art: the Art Gallery of Ontario (the whale skeleton) and the Ontario College of Art and Design (the floating cow). But how exactly does one “help each other grow” when sharing work space? The concept of sharing work spaces is actually not that new, especially within artistic circles. I have known many artists (painters, artisans, dancers and fashion designers) who have joined forces with others to share space. Admittedly, the most practical reason behind a communal format is to share the cost of using the space itself. But is that really the only value proposition that makes contemporary coworking spaces more viable, long-term options for entrepreneurs and self-employed professionals alike? “Coworking is about an innovative collective of independents who work in an open collaborative environment. This is something you can’t get in a regular work place,” Amir notes. But in what specific ways do open collaborative spaces benefit those individuals and groups who opt to work in this set up? 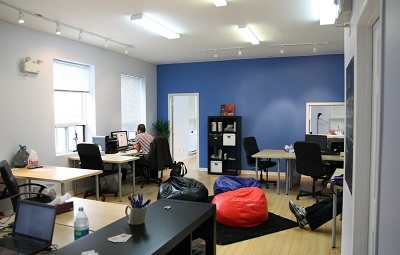 “There are more benefits to a coworking space than just the space. Some independents can’t stand working at home and become more efficient in a coworking community. Others use the networking and information aspect of the space and some just use the resources. In terms of collaboration, we have developers who work independently and help each other when faced with technical issues,” says Amir. At hindsight, coworking seems almost exclusively conducive to individuals, independents, startups and freelancers. Having been used to studio spaces where artists would only literally share the space and its maintenance, the modern day “coworking office” clearly offers more sophisticated advantages in comparison. Like most other coworking spaces, Gizmolabs is set up to be flexible and modular depending on their member’s needs, offering a number of resources from standard office hardware to conferencing. “Some coworking spaces have a theme. In other words they’re only for designers, makers, startups or gamers. So if you’re not in any of that you can’t join. We’re still experimenting with that idea ourselves. 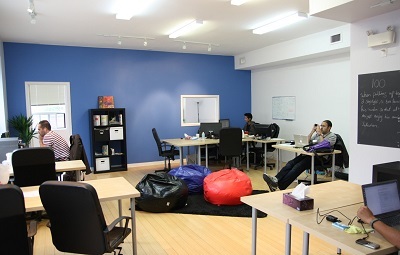 We mostly have developers and startups in our space, but we haven’t excluded anyone from our space yet,” confirms Amir. The sharing economy—highly popularized by the startup denizens of Silicon Valley—has given rise to many popular services that have successfully broken into the mainstream, like Uber and AirBnB. Given need and demand, coworking spaces could surely evolve and offer more different types and services to help expand its market share. So I asked Amir’s thoughts on how straightforward it would be for coworking orgs to start other locations in other regions/markets. And how practical it would be for coworking spaces to expand to offer overnight accommodations for members or the public. 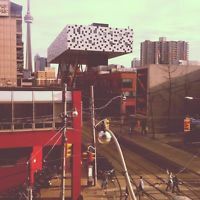 Gizmolabs is located on 298 Dundas St. W – Level3, Toronto, Ontario, Canada M5T 1G2.